Last night, we all watched as Coach K surpassed his former coach and mentor Bobby Knight to become the winningest coach in men’s Division I basketball history. It was an exciting game, a global stage, and a special moment for a man who is always more concerned with his players and his community than with himself. Perhaps we will reflect on 903 in a more extensive essay at a later date. However, for today, I have collected some of the best coverage of this historic moment from around the internet. Enjoy perusing these links instead of working or studying. Duke basketball’s marketing masterminds are back with this phenomenal infographic detailing Coach K’s accomplishments at Duke. 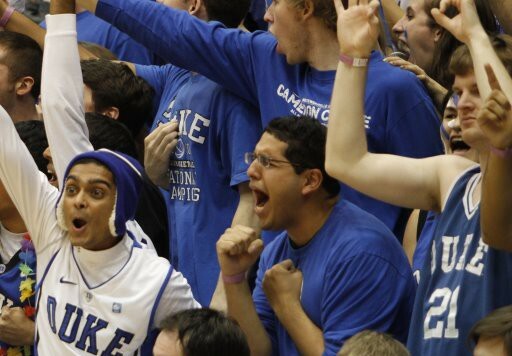 Most astounding figure I saw: Duke has been a top 10 team for 75% of Coach K’s games and in the top 5 for over half. Davis can be an idiot sometimes, but he’s put together an incredible story on the relationship that these two legendary coaches share. The official Duke athletics site charts K’s course as a head coach, from the rough-and-tumble early years to the modern day throne. I have a feeling they’ve had this in the works for a while. O’Neil knows how to pull at our heartstrings. “…[Brad] Stevens will need 27 seasons in which he averages 29 wins per year starting after Coach K retires to catch him, something that doesn’t appear to be coming anytime soon.” Coach K’s got this one tidied up for a long time. Our Duke sportswriting idol blends personal narrative and spot-on game analysis (Plumlees: ugh) in this near-great piece on the game. 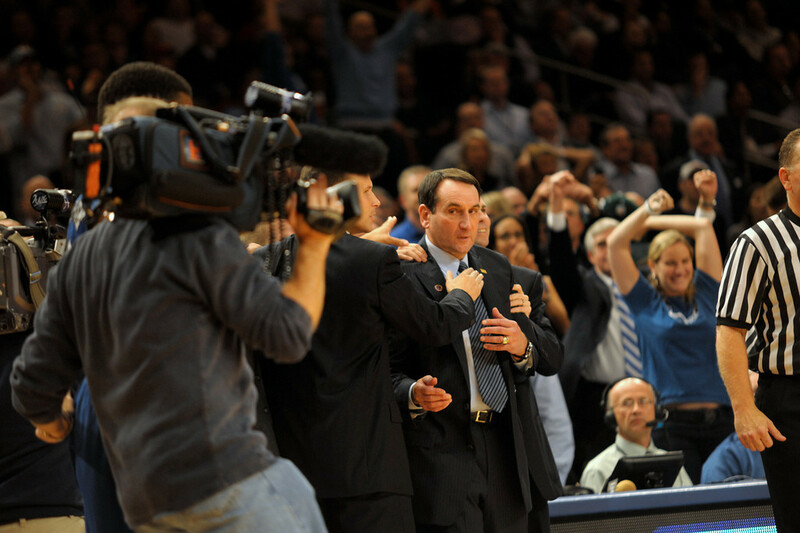 And enjoy an excellent tribute video from DukeBluePlanet to America’s Best Coach.